In the first half of the fifteenth century, some Tuscan humanists showed interest in Aristotle’s Posterior Analytics, in addition to his ethical, political and rhetorical works. Two new translations were carried out, the first one by Roberto de’ Rossi, finished before 1406, and the latter by Giovanni Tortelli, probably made around 1439-40. Both translations did not meet with success, but Rossi’s survives in only one codex, while Tortelli’s has come to us in three manuscripts, and his translator dedicated it to Niccolò Tignosi da Foligno († 1474), who used it in his commentary on the Aristotelian treatise. This paper wants to be the first step of some research which aims to highlight in some unpublished texts the attention which some humanists of Quattrocento and masters of that environment devoted to the Posterior Analytics, and to logic. The De doctrina Aristotelis is a collection of philosophical notes composed by the Dominican friar, Girolamo Savonarola (1452-1498). The text is preserved in the Conventi Soppressi D.VIII.985 manuscript of the Biblioteca Nazionale Centrale di Firenze (15th-16th c.) and gathers quotations and brief summaries from genuine and pseudo-epigraphical Aristotelian works. Clearly, this text was never intended to be disclosed, since the passages – together with a relevant number of sententiae from Aristotelian florilegia – are simply listed, without any specific conceptual background or comments by the author. Following a brief presentation of the De doctrina Aristotelis, the article will focus on the importance that Savonarola assigns to the pseudo-Aristotelian works, especially the De mundo ad Alexandrum regem and the De causis proprietatum elementorum: these two works are employed to highlight key passages in the sermons on the book of Ezekiel. Published in Venice in 1493, the Propositiones ex omnibus Aristotelis libris philosophie excerpte are an original but neglected collection of Aristotelian sayings. Authored by the Dominican friar Teofilo Ferrari (and completed by his brother Benedetto da Soncino), this collection is part of a larger publishing project inspired by Domenico Grimani and Antonio Pizzamano, two outstanding Venice patricians who supported the renewal of Aristotelianism and of Thomism, but were also interested in the growth of humanism. Breaking with the medieval tradition of florilegia, which gave a condensed and often deformed version of their sources, Ferrari relied systematically on Aristotle’s works and Aquinas’ commentaries, but he also devoted attention to textual and philological issues, used a few Greek terms and took advantage, however critically, of new Latin translations of humanists such as Leonardo Bruni, Theodore Gaza, George of Trebizond and Antonio Beccaria. The Propositiones provide therefore evidence for interesting interactions between the so-called ‘scholastic’ and ‘humanistic’ Aristotelianism. 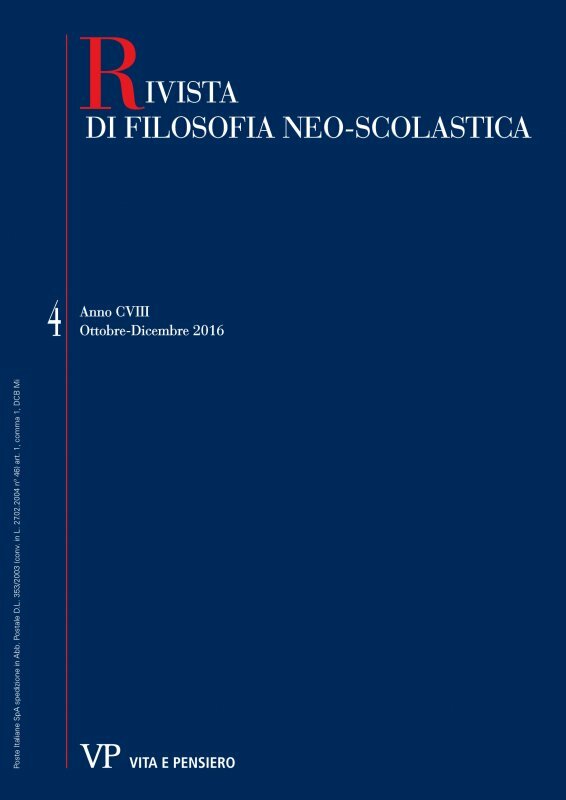 This article focuses on the relationship between Galeotto Marzio and the Aristotelian tradition, in order to shed light on the theoretical agenda of the philosopher from Narni. Often read outside of his proper context, Marzio had a good knowledge of the Aristotelian philosophy, but nonetheless preferred to mix sources and not to follow a single authority, in the name of a philosophical autonomy that he also expressed through a clear separation between the realms of faith and rationality. The works of Aristotle constituted the cornerstone of education at the early University of Louvain’s Faculty of Arts. Among the lectures on the corpus aristotelicum, composed before the end of the 15th century, one must mention the commentaries by Peter de Rivo (d. 1500), master of Arts at the pedagogy of The Castle, as well as sets of lecture notes (or collegedictaten) copied by students that report the courses given by their masters. This article presents a survey and an introduction to the general features of the known 15th-century collegedictaten on logic and natural philosophy, offering data that may help in drawing of a fuller picture of the teaching of Aristotle at the Louvain Faculty of Arts during its early years. The Medieval tradition of Topics crosses Cicero and Boethius on the one side, Aristotle on the other. This crossing made his fecundity in the analysis of the different meanings of the probable, as well as in the approach of cognitive phenomena, considered as intellectual dispositions thanks to the notion of fides. This article shows that the theory of dialectics in 15th century could not, in any way, be seen as a return to Cicero against Aristotle. It considers two examples, which represent one the Abertist school, John Versoris, the other the Nominalist school, Georges of Bruxelles. In any case, the two traditions are still combined. Commentaries on Aristotle are at the same time a place for recurrent interrogations on the probable or the relation between dialectics and demonstration, and the occasion of emergence of new questions, concerning the notion of method, or the relation between invention and resolution. The commentaries on the treatises of Peter of Spain, while including technical developments on the loci, go on deepening the different possible uses of the fides, from the religious belief to the disposition acquired by science, and the motives for adhering to a proposition. In this paper, I I will analyze 15th century commentaries on book one of Aristotle’s Topics produced by Parisian and Cologne masters, with a special emphasis on how commentator interpreted the opening lines of the Topics, in which it is addressed the fundamental question concerning the subject matter of the Topics, and, more generally, of dialectic. Do Aristotle’s book and dialectic deal with dialectical syllogism or, rather, with dialectical argumentation? Realists authors acknowledged dialectical syllogism as the subject of study of dialectic, thus limiting the field of inquiry of this discipline to the formally valid arguments. In the second part of the paper, which will be published soon, I will show how Buridan’s influence inspired some authors to develop interesting interpretations of Aristotle’s Topics and interesting reflections about the role assigned to dialectic, whose subject matter is considered the dialectical argumentation. Paul’s systematic presentation of Aristotle’s philosophy is confronted with several puzzles. Substances are definitionally prior to accidents, Paul maintains, because the definitions of accidents include reference to substance. The reference of an accidents to its corresponding substance is an «aptitudinal inherence». By stating that aptitudinal inherence is not included in the definitions of type-accidents, Paul can state that type-accidents do not share in any common notion. Type-accidents, qua such, also include quantities that do not inhere in any primary substance, but are mere mathematical objects. Hence, aptitudinal inherence cannot be included in the definition of type-accidents, qua type-accidents. Paul’s solution showcases the resources of a systematizing reading of Aristotle and of the Aristotelian tradition. This paper assumes as hermeneutic criterion what Plato says in Phaedrus about the philosophical writing conceived as a serious (and protreptic) game. The aim of the article is emphasizing two features of Plato’s philosophy: 1) The clever structure of Phaedo: Plato, intertwining arguments and myths, first proposes (disguised as illusory demonstrations) arguments which show the metaphysical horizon and the onto-cosmological framework in which it is possible and reasonable talk about an immortal soul; second, he provides a naïve proof of the immortality of the soul; 2) The validity (according to Plato) of this demonstration is confirmed from subsequent proofs in Republic, in Phaedrus, and in Laws; these arguments explain and enhance that proof. The essay investigates the subject of functioning intentionality, as a fundamental feature of Husserl’s trascendental phenomenology. After pointing out the limits of Brentano’s notion of intentionality, the essay examines the relation between the structure of functioning intentionality and the constitutive analyses, that determine the genetic character of Husserl’s phenomenology. With reference to the constitutive themes of intentionality, the article tries to clarify that the intentionality’s mode of being require an analytic explication of transcendental subjectivity, so that the intentional analysis shows a certain consonance with psychoanalysis and with the problem of unconscious. The discovery of functioning intentionality, due to phenomenological reduction, allows to reach a further meaning of the subjectivity’s life, with the outcome of highlighting that latent intentionality precedes the intentionality of act in a foundational sense. critical intervention methods in reality. Epistemological correlationism is the cause of the heterogeneity of ends, which has impacted modernity in its most distinctive expectations, namely a personal commitment to truth and the determination of its own historical fate. To overturn epistemic relativism and historical prospectivism, which modernity has contradictorily reached, it is necessary to begin from reality and the objectivity of knowledge by founding upon them the principle of stratification of history. The connection between these three layers makes it possible to formulate a judgement, which expresses true knowledge, rather than a historically relative one. The historical parable from political theology to biopolitics will offer an example to show how this particular methodological perspective functions and how fruitful it is to highlight the real intelligibility of historical events, that is their historical transparency. The purpose of this article is to point out historical relevancy of the further textual findings made together by Fazzo and Zonta in 2014, namely the confirmation that a large section of Averroes’ introduction to his Great Commentary on Metaphysics Lambda comes from the Syriac-to-Arabic translation of a corresponding text by Alexander of Aphrodisias. Even if the content of Alexander’s introduction has been adjusted by Averroes for the sake of his own commentary, traces of the Greek-to-Syriac translation can still be found in the letters-titles attributed to the Metaphysics books 7 to 11 (in Greek, Metaphysics Zeta, Theta, Eta, Iota, Kappa). The findings are interesting for two reasons. On the one hand, the section is missing in Freudenthal’s standard collection of Fragmente des Alexanders from Averroes’ Great Commentary, so a new section needs to be inserted, whose historical relevance can hardly be overestimated. On the other hand, further proof emerges to include our previous research on the textual history of Aristotle’s Metaphysics, thus fixing Alexander as a safe terminus ante quem for the final assemblage. Admittedly, our proposal raises a broader question: the terminus is remarkably later than usually assumed. Yet, based on our previous results and research (cf. Fazzo 2012), Alexander of Aphrodisias turns out to be the first safe source of our current arrangement of the Metaphysics fourteen books.